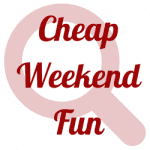 Cheap Weekend Fun in Boston for November 1-2, 2014! Happy (almost) weekend! Here’s some fun and inexpensive things to do this weekend in the Greater Boston area! Also, don’t forget about your extra hour of sleep this weekend for Daylight Saving time on Sunday, November 2, 2014 at 2AM! South Boston Open Studios: November 1-2, 2014 from 12-6pm. Dozens of artists and crafters open up their doors in South Boston for this free event! Open House at Boston Athenaeum: Sunday, November 2, 2014 from 12-4pm! Discover the Anthenaeum’s history during this free open house! Free CrossFit at City Sports: Saturday, November 1, 2014 at 12pm in the Back Bay. Want to scope out a CrossFit class for free? Here’s an opportunity to do so this fall! WCRB Classical Cartoon Festival: Saturday, November 1, 2014 from 10am to 4pm at Boston Symphony Hall. Enjoy your favorite cartoon cartoons set to classical music on the big screen. $8 with discount tickets through Goldstar (affiliate link). Boston Bridal Bash: Sunday, November 2, 2014 at the Sheraton Boston Hotel. Getting married soon? Meet local wedding professionals, enter raffles, and more! Discount and free tickets available through Goldstar (affiliate link). Bank of America’s Museum on Us Weekend: Saturday and Sunday, August 2-3 2014. Bank of America & Merrill Lynch cardholders can get into select museums the first weekend of every month for free by showing their bank card (per cardholder, not family). Museum of Fine Arts, MIT Museum and other museums across the state participate. Let me know in the comments below if I missed any fun and cheap events this weekend!